The year’s end is a time of holiday cheer and reflection, of celebrating the great things we’ve encountered throughout the year. 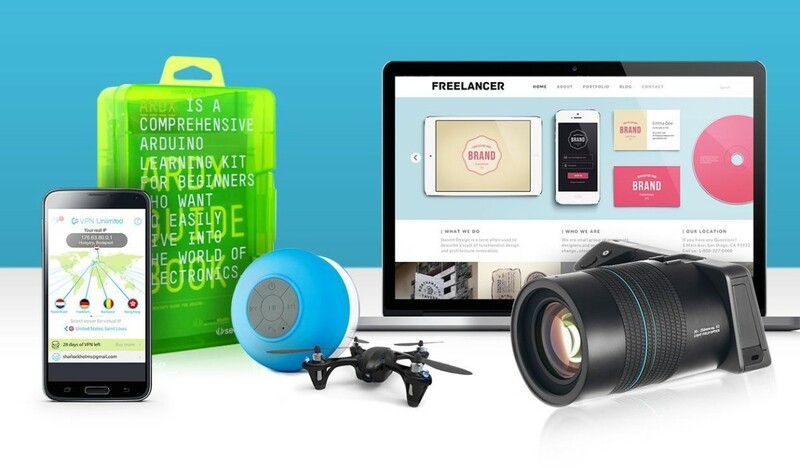 TNW is feeling the giving spirit, with our Top 10 Deals of 2015 on the TNW Deals store. Check them out below for your chance at extra savings before time runs out! Whether you’re determined to upgrade your career or just a little curious, the Complete 2015 Learn to Code bundle is the perfect entry point for developing programming expertise. The ability to code is one of the most valuable and sought-after skills around, and you can get a running start with the Interactive Coding Bootcamp. While the Code Black is palm-sized, the most popular drone of all time drops the cute in favor of a sleek, Batmobile-like exterior, complete with glowing blue lights and an SD camera for killer aerial video. If you’re interested in getting into building your own websites and apps, the Back-End Developer Bundle is the best way to get started. The collection includes a range of courses to teach you Ruby, Python and PHP at your own pace, and at your own price! Most music and video streaming services use geo-restrictions to limit access to their services, which creates headaches for international users who want to access (and pay) for the likes of Hulu Plus, HBO Go or Netflix. A solution has been found in Getflix, a smart DNS service that removes the geoblock feature for the US version of Netflix, Hulu, BBC iPlayer and many more streaming media services across the globe. The Mobile-First Developer’s Bundle teaches you native app development from scratch, and you can pay whatever you like for it. Ten courses show you how to start making apps for iOS, Android and HTML5, beginning with Apple’s efficient Swift programming language, and how to optimize your Android apps for Lollipop 5.0. You’ll learn to build games with Unity 3D, and convert any WordPress site into a native app. There are also tracks on designing for the best possible user experience, and for monetizing your apps with advertising or in-app purchases. The Complete Raspberry Pi 2 Starter Kit will put you in command of all the necessary programs, and the world of possibilities within this next generation microcomputer, to get you building and programming in no time. If you’re ready to take the programming plunge, start with this course bundle that covers everything you need to master Java. The six included courses pack over 71 hours of tutorials to take you through the basics of Java programming, as well as the Java Swing user interface toolkit, Android app development, website building and a lot more.